The Fort Madison Parks and Recreation Department’s Adopt-A-Garden program was established in order to provide the proper care and maintenance for the numerous flowerbeds located within the Fort Madison Parks system. 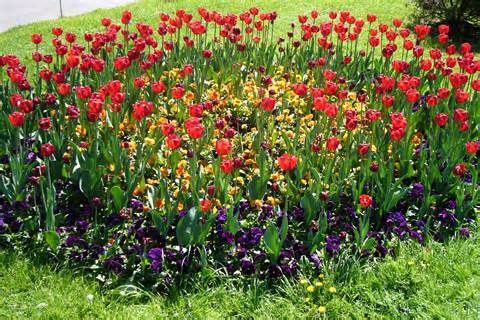 The Parks Department currently have several flowerbeds that are available for adoption. Any group, organization or individual that is willing to get their hands dirty and help maintain a flowerbed in the Fort Madison Parks system are encouraged to contact the Parks Department to find out how they can adopt one of the available flowerbeds. Those who have volunteered to "adopt" a garden are: Evelyn Wenke, Taylor & Eric Freitag (Turbo Wash), Jan Richers, Sunny Shehan, Bill & Dana Shehan, Anna Auge-Grinstead, Joe Thurman, Kay Peterson (GSA), George, Kreidler, Gary & Amy Coffey, Lisa Wellman (Sunny Brook), Gene Enke (FM Rotary Club), Kathleen Pilkington (Union Presbyterian Church), and Ron & Barb Zumdome. View Photo Gallery of all the flowerbeds by clicking on the link Adopt-A-Garden Flowerbeds The gardens that are currently available for adoption are: #7, #9, #10, #13, #14, #15, #16, #25, #26, #29, #31, and #33. The only requirement of the Adopt-A-Garden program is that once you adopt a flowerbed you are responsible for the care and maintenance of your flowerbed including what you wish to plant within your flowerbed. The Fort Madison Parks Department will provide many of the materials you will need such as dirt, mulch and removal of clipping piles. If receipts are turned in from purchasing flowers and plants, the City will reimburse up to $100 per flowerbed.This will be your flowerbed as long as you are willing to take care of it. Contact the Parks and Recreation office at 372-7700 x 201 for more information on the Adopt-A-Garden program and for information on the flowerbeds that are available for adoption.